There’s always been much debate around the topic of soy and its potential benefits to health for women, especially for various symptoms associated with the menopause. 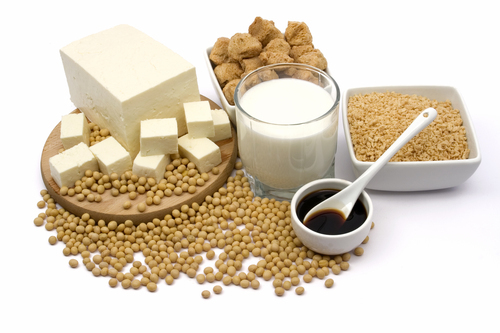 It was reported from recent research carried out at the University of Miami, that soy did not appear to prevent bone density loss during the menopause. However, as with many things in life, there may be two sides to a story. To set the scene, the Dr Levis study in Miami used soy isoflavone tablets, which appeared to show no benefits with regard to menopausal symptoms and bone density. While it is true that the sum evidence examining the effects of increasing soy isoflavone intake from foods or supplements on menopausal symptoms, such as hot flushes, is poor, scientific research suggests that the effects of fermented soy may be very different. The soy eaten in Asian cultures, which produces known positive health benefits is fermented. This means that the isoflavones are converted into their more active form before being eaten, thereby increasing bioavailability. Fermented soy foods are rich in the isoflavone aglycone called daidzein. When daidzein is acted upon by bacteria present in the gastrointestinal tract, it produces a more active and effective molecule called equol. It has also been found that maximal clinical responses to soy protein diets are observed in those who are good equol producers1. Generally, those on vegetarian diets appear to be good natural equol converters. In addition, the results of some studies also suggest that soy products may be more effective in maintaining bone density when equol is produced2,3. Interestingly, green tea and prolonged soy consumption may also enhance equol production4,5. However, a recent double-blind study of 102 US women showed that eight weeks of daily consumption of a fermented soy product containing natural equol (made by the fermentation of whole soy germ) reduced the frequency of moderate to severe hot flushes, and muscle discomfort. It was also shown to be superior in its effects to the consumption of a soya isoflavone supplement. In addition, it was found, via a double-blind, placebo-controlled study, to inhibit bone breakdown and prevent bone mineral density loss in Japanese women. No serious adverse events were reported in any of the studies. The results of these studies were presented at the North American Menopause Society Annual meeting. Higher Nature, a leading manufacturer of vitamin and mineral supplements, has been endorsing the use of formulations containing activated soya isoflavones for many years and is, therefore, confident of their benefits based on the latest research studies. 1. Setchell KD, Brown NM, Lydeking-Olsen E. J Nutr. 2002. 132:3577-84. 2. Lampe J. Am J Clin Nutr 2009, 89:1664s-1667s. 3. Setchell K & Clerici C. J Nutr. 2010.140:1355s-1362s. 5. M Tanaka et al. Prostate cancer and Prostatic disease. 2009. 12:247-252. For more information, contact Hazel at hgray@higher-nature.co.uk. This press release was distributed by ResponseSource Press Release Wire on behalf of Higher Nature in the following categories: Health, Medical & Pharmaceutical, for more information visit https://pressreleasewire.responsesource.com/about.